1.1 What is Mill Scale? We offer Mill Scale from major production sources in the U.S. for export or domestic use. Please contact us for an analysis and current pricing information. Current allotments of materials are available in volumes of 200 tons to several thousand tons per month. Spot purchases or potential long term contracts are our specialty. All material we sell is produced in the USA, is screened clean, low residuals and will meet most standard specification needs. These materials used to be considered a waste streams by most steel producers in the U.S. When China entered the worldwide steel market all available ferrous raw materials were considered potential supply options for iron units. These materials are a very good material for use in steel making and also has many other uses that we will highlight. Many factories mix a certain amount of this material with their iron ore fines before they are sintered to help boost the iron content. Another main use is for cement production but for this purpose lower quality materials can be used as well as iron ore and other materials we can source. Our company deals directly with producers here in the U.S. and has for many years, with over 50 years of combines experience. We move 4000 to 7000 tons plus a month long term and occasionally we are involved regularly in large export contracts. 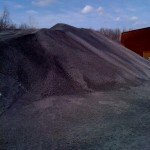 We can supply higher grade materials for steel making or lower grades for cement use. Saucon can also offer proprietary or custom blends for density materials. Please contact us for current mill scale sales. We are sometimes asked to explain the materials we sell, I reference TV programs that show steel manufacturing. When the TV program shows a red hot slab or plate of steel coming out of the steel mill’s furnace: Mill scale is basically the rust coating which forms on the poured steel or newly cast surface. The material appears flaky and can be seen easily on the red hot surface. 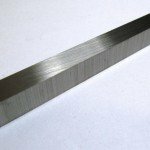 The materials are produced on the plates outer surface, profiles or sheets. Production starts by rolling the steel billets and hot iron in steel rolling mills. Is mill scale hazardous? Mill scale is not generally hazardous. Oily mill scale is not immediately hazardous as well but long term exposure to oil can potentially be harmful. Standard precautions advised, gloves and eye protection. What are Mill Scale Prices? Mill scale prices change with the scrap, ore and steel markets. Mill scale is generally sold under yearly bids or spot purchases. 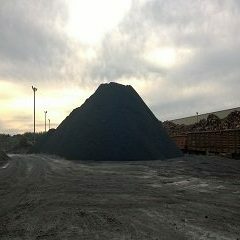 There are services that provide current mill scale pricing. 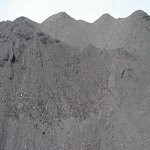 The oxides are like a hard brittle material which is mainly composed of mostly ferric, iron oxides and is generally bluish black in color. Also produced during hot rolling, conditioning and reheating operation for new steel production, initially the material adheres to the surface of the steel and also protects it from atmospheric corrosion. 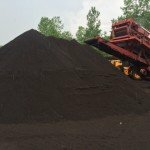 The scale is taken off by air blown or physical shaking, the material is then piled up, put into containers or hauled away to storage areas. Historically, these materials collected and sold to the cement plants for iron requirements. Also additives for agglomerates but now we are seeing many more industrial applications. This byproduct is a very valuable metallurgical raw material as it contains about 65 to 70% iron. Due to its chemical, mineralogical and physical properties, the substance is also used as a raw material in the sintering process as well. 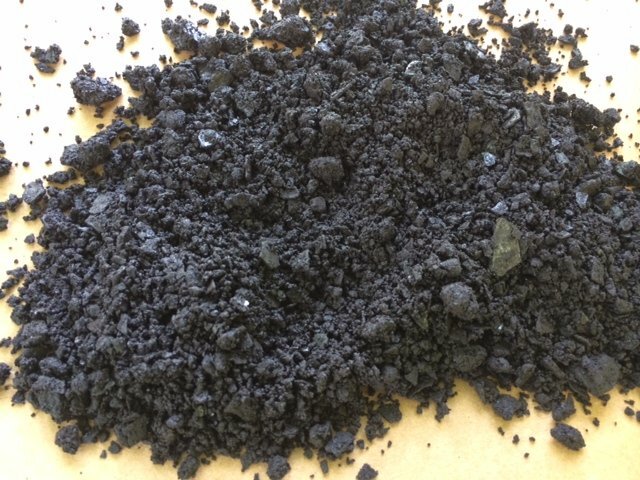 Although, this material is a waste stream, with the heavy depletion of many standard iron/steel scrap sources in the world many producers are now using scale to add ferrous (iron) units to pre-sintered materials. Composition does depend on the type of steel being produced. For the most part this byproduct contains a high amount of iron as well as low amount of alumina and silica, called residuals. Hence, recycling it via the sintering process will assist in saving other raw materials like limestone and iron ore. Some of the desired sinter properties can be achieved by using 40 to 50 kg of recycled materials per sinter ton. Is your company looking for recycled materials? Do you have special materials need? Please CONTACT one of our professional team members to get started with help for your sourcing challenges. We would like the opportunity to be your company’s Mill Scale Supplier. We will discuss material uses both general recycling uses and specific industrial applications. As discussed Iron Oxide or scale refers to the substance that is formed due to oxidation of steel during operations like hot rolling, hot press, hot forming, heating/reheating, continuous casting, flame scarfing, conditioning, etc. Other than precious metals, all other metals are found in nature as oxides. The spontaneous corrosion of the surface of steel into ferrous oxide results in creation of scale. We will list material uses in industry today and the future. While discarded earlier as an unavoidable waste product generated during the steel manufacturing process, it is now possible to remove the scale by a combination of process waters and gravity separation, this generates a useful material. This byproduct can be mixed with copper during hot rolling and forging processes to manufacture the negative electrode or plates in alkaline batteries. Mill scale can be utilized as catalysts in chemical processes requiring iron oxides to produce acetic acid. Raw material buyers rely on efficiency which means that there is less reliance on virgin materials. Cement plants are using industrial waste streams and byproducts to save money and make better products. After conducting a detailed analysis of the chemical characteristics of the materials to determine the effect on process facility and chemistry emissions, many cement plants can utilize the byproducts from iron and steel industries as a raw material in the manufacturing of clinker. Clinker is an intermediate product in the process or making a final cement product. One of the most prominent mill scale uses is Cement. Adding mill scale to the combustion area when manufacturing cement clinker converts unwanted and potentially-dangerous hydrocarbon gases into less volatile gas products. Further, it can be used as a raw material for manufacture of cement clinker by mixing it with feedstock materials before introduction of the raw material into the heated rotary kiln. Composite counterweights, which are commonly used in industrial manufacturing processes and machines, consist of a waste-product or by-product of an industrial process that is bound with material of uniform mass. These ferrous byproducts can be used in the manufacture of counterweights. The product so prepared is then used in the finished machine or equipment. Mill scale is being used in place of standard concrete as counterweights in washing machines. The material is mixed with water and used as filling material. These counterweights are used in the manufacturing process of basic metals as well as for production of general machinery and transportation equipment. The result is a smaller counterweight which allows better use of space in design and development. Use of mill scale for separation of volatile metals, iron, slag, and other impurities facilitates heat conservation and improves energy efficiency. Processing waste materials in an Electric Arc Furnace can help improve productivity and output and reduce wastage. Heat conservation helps avoid unnecessary wastage of resources when processing waste materials. Combining waste products generated during the manufacturing process of heavy metals with mill scale will result in a low-density material that can injected into the furnace to create an exothermic reaction without excessive use of raw materials. This material is a waste product that is rich in iron making one of mill scale uses a FE additive. This material can be mixed with industrial waste and by products to create iron feedstock for the manufacturing process. Mill scale can be processed through leaching, roasting, and other processes. 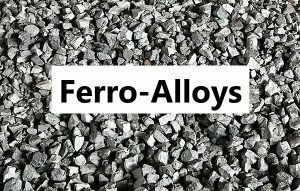 Refining ferro-alloys involves addition of oxidizing agents that will combine with the impurities and rise to the surface. Or, the slag will separate or get diffused as gas by products. Mill scale is a suitable agent removing impurities from alloys. Magnetic carrier additives can enhance the performance and efficacy of mixed fertilizers. Mill scale is used as the magnetizing synergist agent to provide additional nutrients to the crop. Mill scale is also used as a de-siliconization agent that is an integral part of the phosphate fertilizer production process. Mill scale can also be used in the manufacture of water-treatment chemicals that are used in agricultural, forestry, fishing, and scientific activities related to research and development. Auto brakes rely on friction to bring the vehicle to a halt. In products that use sponge iron as the principal material for generating friction, mill scale can be used to replace up to half of the sponge iron without compromising on efficacy or performance of the friction material. This makes mill scale a useful raw material for the manufacture of a wide range of equipment including industrial machines as well as consumer goods. Colored glass is made primarily by using slag contents that contain iron, manganese, and other metals that causes the glass to have the desired hue. Small amounts of mill scale can be used as a replacement for iron-based colorants during the glass manufacturing process. This type of concrete does not require additional thickeners and is manufactured by mixing cement, a heavy aggregate and water. Mill scale can be combined with feedstock and used as a part of the heavy aggregate material that differentiates this type of concrete from standard concrete. Heating mill scale and iron oxide will result in production of iron oxide pigments of shades of red, brown, or black. Further addition of mill scale and heating the resulting mixture will result produce iron oxide black pigment. 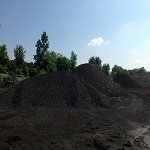 Leaching of mill scale at high temperatures in a high-pressure environment can lead to recovery of ferric oxide, which can then be used for various industrial applications and processes. Mill scale can be kept in containers that are then used as electric furnace melting charge controllers. 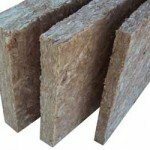 Mineral wool requires use of fluxing materials during its production process. Mill scale can be used as one such material. Paint manufacturing requires use of iron oxide paint pigments. Mill scale can be used in the cores to help achieve the right balance and proportion of iron, which is the most significant component of the pigment. Shielding material consists of building material combined with a shielding component that makes it possible for the material to reflect or absorb electromagnetic radiation. Since ferrous materials can be used for shielding, dry mill scale can be used to manufacture materials that are capable of blocking electromagnetic radiation. Refractory material is made by crushing dolomite and mixing it with a flux suspension liquid or paint. Mill scale can be used as flux material that is combined with the liquid binder and ultimate used to produce the refractory material. 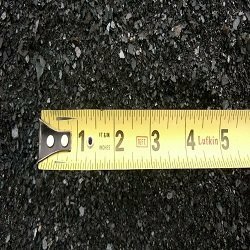 For building roads that offer greater adhesion between the tire and the surface, greater ability to withstand abrasive contact, and even conduction of surface heat, mill scale can be added to the building material as an additional component to enhance safety, quality, and durability of the surface of the road. For foaming slag to be truly effective, the foam must be created up to a certain height on top of the molten steel material. Introducing mill scale will ensure the foam is of the amount and volume that will ensure the molten steel is completely protected by the foaming slag. Removing carbon in specific parts of tool steel molds where free carbon may impair safety or strength can be done by introducing an oxidizing agent like scale. This material offers greater control over the overall content of free carbon along with the ability to vary carbon content in different parts of the metal product or article which is a very specific example of mill scale uses. Contaminated soil or ground water containing halogen compounds can be purified by use of iron-based purification particles. Mill scale is an effective purification material that can be introduced into the contamination-removal process. 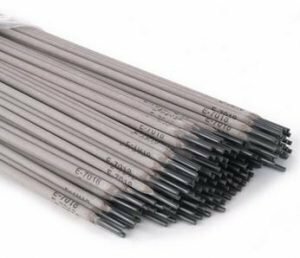 Electric arc welding electrodes are made of an alkali meal oxide that is combined with metal compounds like oxides of iron, manganese, aluminum or silicon dioxide. Mill scale is an effective source of iron oxides for the manufacture of electrodes that are used in the welding process. Heavy concrete and mortar require fine aggregate particles with metal iron as its primary constituent one of the major mill scale uses. 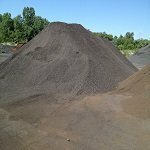 The heavy weight aggregate is manufactured by mixing materials like mill scale of specific diameters, pig iron particles, and granulated slags. Mill scale uses are multiple, this byproduct is versatile and can be used for coloring, binding, heat transfer, lubrication, viscosity adjustment, and as agents for binding or absorbing gases or liquids. If your company or organization requires mill scale or other Fe related materials please contact us. Saucon Resources has Multiple resources for supplying mill scale. If you are in an industry that is suited to mill scale use please contact us. 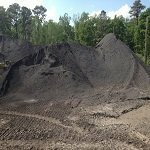 As Mill Scale Suppliers, we can arrange and facilitate contracts for materials produced in the U.S. for volumes of 500 to 5000 net tons per month. Looking for Material Prices? Contact our Team for up to date quotes. Material allotments available of 30,000 mt +/_ 10%. 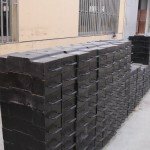 Pig Iron Briquettes, 90% FE+ 500-5000 tons per month. Cement Companies: we have several materials suited for your industry and in large volumes. Density Materials: we can blend to meet your needs. Keep our website bookmarked and check back for updated bulk materials for sale and Joint Venture Opportunities. See recent sales. Mill Scale and other recycled minerals & byproducts for re-use in industrial applications.